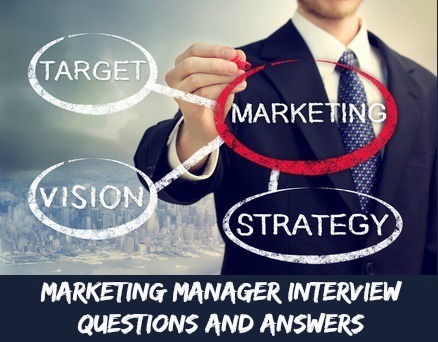 Marketing manager interview questions will explore the core skills and abilities required by a marketing manager to successfully develop and maintain marketing strategies that meet organizational objectives. Regardless of the industry or organization these common marketing manager interview questions apply. 1. Give an example of a marketing brief you developed for a recent marketing project or program. The marketing brief can be viewed as a planning tool for designing and implementing a marketing program or project. 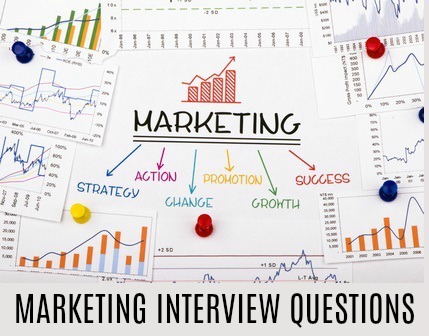 In answering this marketing manager interview question focus on how detailed and specific the brief was and the research it was based on. 2. Tell us about a marketing project in which you had to coordinate and manage a diverse team of people. Outline your particular management style and why it was successful. Focus on the management skills that you utilized to ensure success. 3. Give an example of how you have effectively managed a tight budget to accomplish a marketing activity. Discuss your ability to react quickly and accurately to meet new demands and constraints. 5. Can you give me an example of a campaign that did not work out as you had planned? It is important that you are able to recognize why a plan went wrong and to learn from the experience. Be open about why the campaign failed, avoid defensive explanations, take accountability and focus on the steps you took to prevent a repeat experience. 6. Tell me about a marketing project that you brought in on time and under budget. Efficient utilization of resources reflects sound judgment, planning and organizational skills. Use this question as an opportunity to highlight your strengths as a marketing manager. 7. Describe a situation in which an innovative course of action was necessary. gaining a clear perspective before deciding on the focus of your innovation. 8. What factors do you consider the most important when attempting to influence consumer behavior? all impact on consumer behavior. Provide an example of a marketing campaign or project you developed and how you utilized these four key factors to develop and optimize your project. 9. What are the biggest challenges a marketing manager faces today? Customers have more power than ever and marketing initiatives have to meet these new customer demands and give the customer what they want. Additionally there is the pressure to keep up with constantly changing technology and how to use it optimally for marketing activity. Relate your personal experience of the challenges you have encountered and discuss how you handled them. 10. What are the 5 most important aspects of successful marketing? Interviewers will expect you to provide a good selection of work samples. Consider including digital campaigns, website pages, catalogs, marketing reports, seminars, presentations, advertising, articles and press releases. Expect to be asked a number of these standard marketing interview questions. 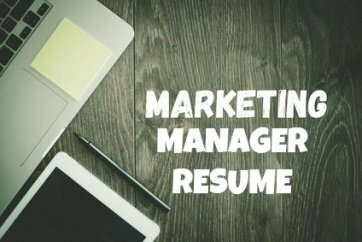 The marketing manager job description clearly outlines the role of the marketing manager position. These sales interview questions provide an example of sales-related questions you might be asked. View these frequently asked management job interview questions and be fully prepared for your marketing manager interview. Prepare for interview questions that explore your management style. Know how to answer the question What makes a good manager? View the common job interview questions you can expect in your marketing manager job interview.